I'm excited to share that my Home Depot holiday style challenge is going live today and you can check it out right here. When I signed up for this challenge, I had no idea how much fun was in store for me. The party started with several boxes of surprise loot showing up at my house and ended with me decking our (new house!) halls in the middle of October. Kind of like a dream come true, right? 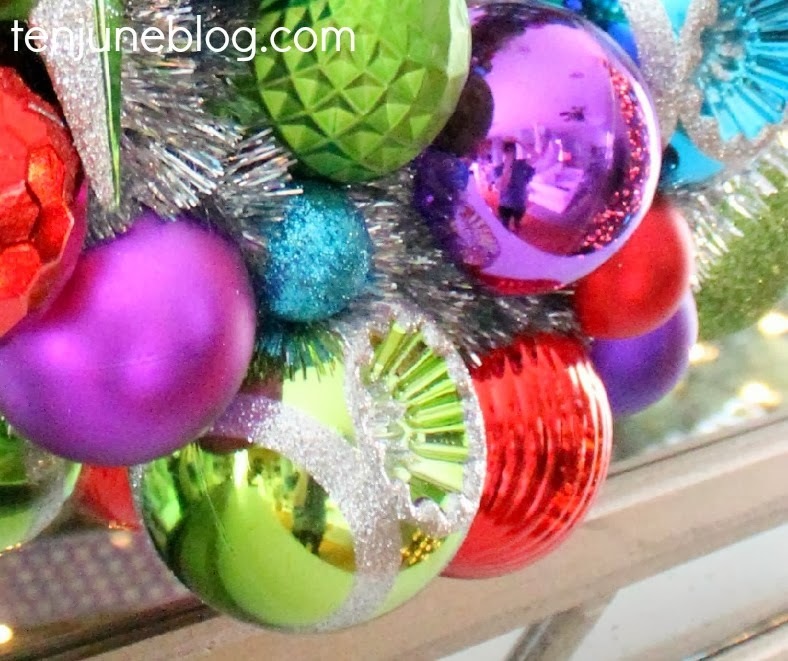 Home Depot sent over some really fun, whimsical decorations that I had a blast using. Typically, I wouldn't have chosen these kinds of non-traditional holiday colors like purple, lime green and turquoise but once I saw these colors together, I fell in love. And the fun colors are kind of perfect for a fun Christmas with HDawg. He loves anything bright and shiny and colorful... this decor is right up his alley. For more photos and information about my style challenge, check out my post over on the Home Depot blog. 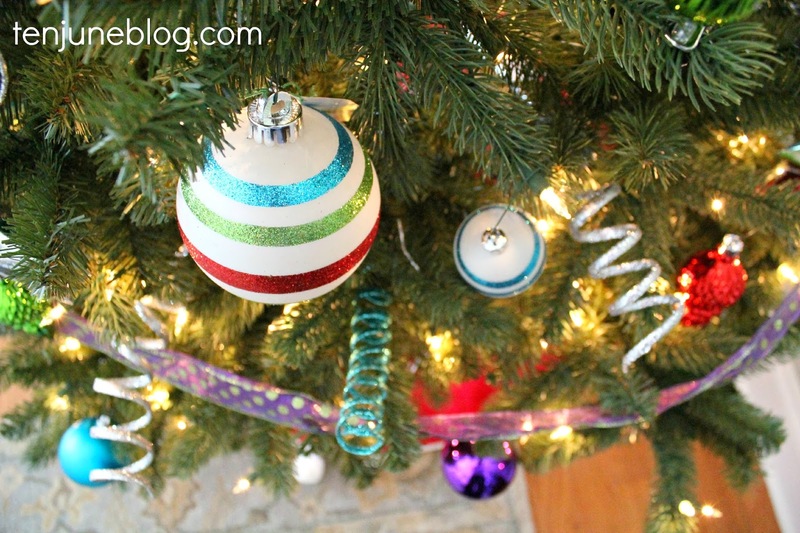 Also, be sure to check out all of the other bloggers and their amazing holiday style challenge reveals! Looks awesome! 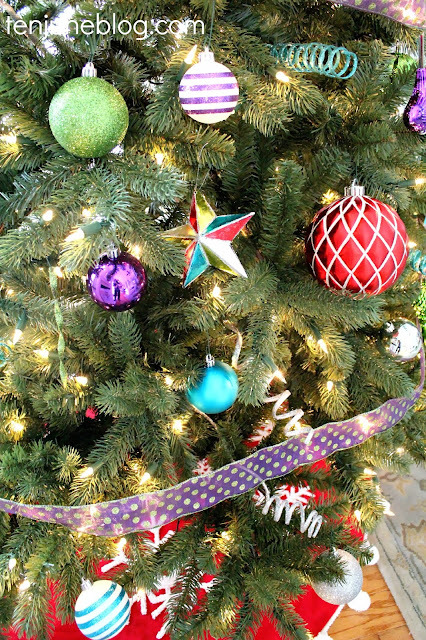 I'm not big on the technicolor Christmas, but it does look fun and you're right, kiddos LOVE it! I'm loving the colors in these pictures! Off to check out the whole thing! Love the eye candy! Checking out your post now! I think I might be completely blind b/c I can't see your post over there but I'm totally jelly! 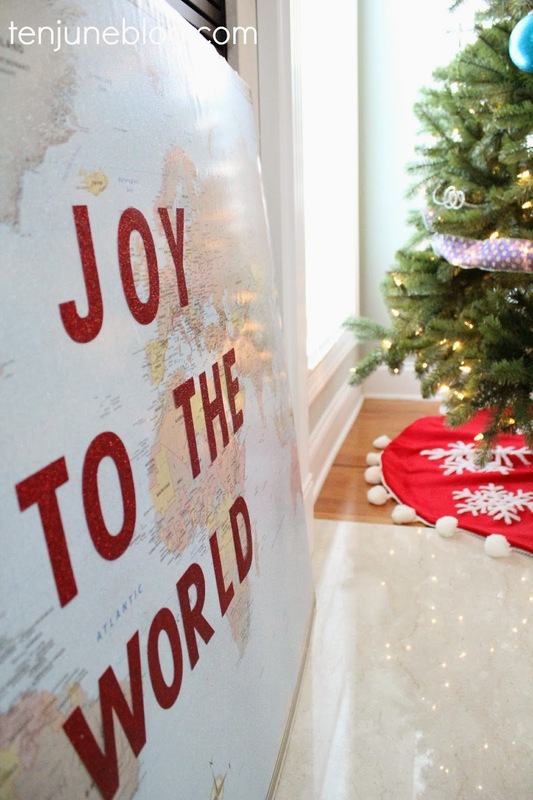 I would love to have had my Christmas decorations done by now :) That joy to the world sign is fabulous. I love your tree skirt. Was that a DIY or did you purchase that? 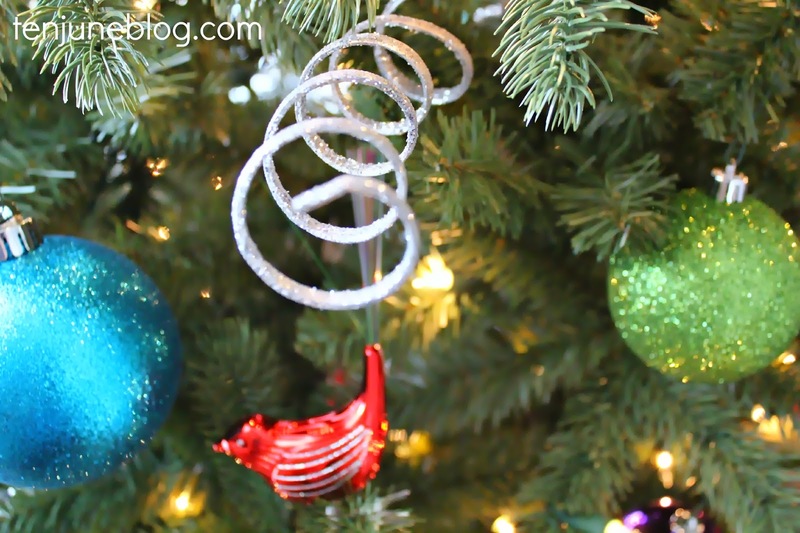 Love the fresh Christmas decor...I am really fascinated with the vibrant colors.I too have purchased new silver ornaments for the tree.